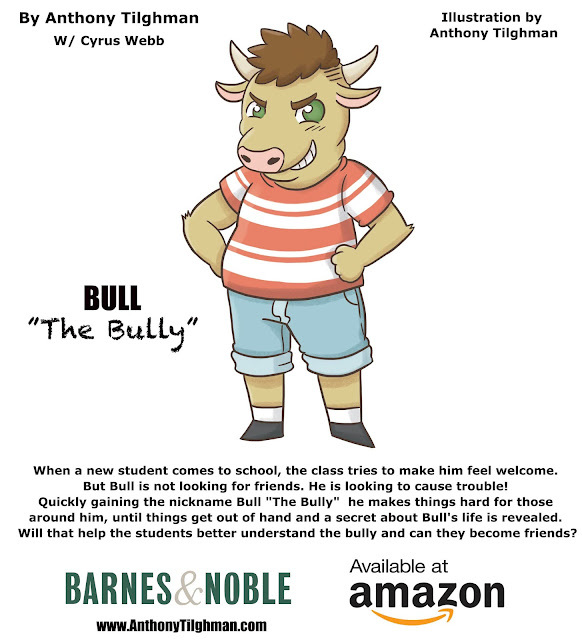 Anthony Tilghman: I am Proud to announce my New Children's Book: Bull "The Bully"
I am Proud to announce my New Children's Book: Bull "The Bully"
Breaking News Everyone: I am Proud to announce my New Children's Book: Bull "The Bully"
I'm Releasing it on Father's Day and Accepting Pre Orders Now. When a new student comes to school, the class tries to make him feel welcome. But Bull is not looking for friends. He is looking to cause trouble! Quickly gaining the nickname Bull "The Bully" he makes things hard for those around him until things get out of hand and a secret about Bull's life is revealed. Will that help the students better understand the bully and can they become friends?